Halo fans all over the world are getting ready today for the Halo Reach Beta to launch. The beta is set to launch, from what I can gather anyway, today (Monday) around 1pm EST/10am PST.These times are definitely not set in stone as there isn’t a whole lot of information out about the Halo Reach Beta start time. 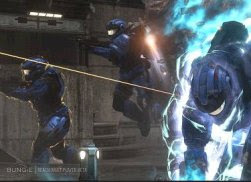 However, the Halo Reach Beta is coming and it is expected that it will consist of two maps – Swordbase and Powerhouse. According to Hovied, Skwordbase is an indoor, multi-leveled map, separated into two parts by a central area. Powerhouse on the other hand is an outdoor map that focuses on a circular wall situated in the center of the map. These two maps provide you with opposite playing experiences in order to give you an taste of what is to come in the full game. The level design for both maps seems well-balanced and I haven’t experienced any hiccups trying to get around. So come 1PM EST, it will be interesting to see if the Halo Reach Beta actually launches. I’m sure there will be no shortage of bloggers updating all of us about the launch and I will try to keep updates posted here. Let us know if you see the Halo Reach Beta launch at 1pm.